TECHEF offers non-stick and durable cookware which makes cooking healthy food for a healthy family easy, fun and environmentally safe. Coated with Teflon select - color collection add lifestyle: new colors for Teflon nonstick coating systems turn cookware into lifestyle accessories. Safe new Teflon coating (no PFOA) the non-stick coatings without PFOA on TECHEF products are affirmed safe for cooking by regulatory agencies worldwide, including the European food safety Authority, French food safety Agency (ANSES), the U.S. Food and Drug Administration (FDA), and the U.S. Environmental protection Agency (EPA). specialty skillet an unique two sided pan allows for easy flipping of omelets, sandwiches, and pancakes warranty TECHEF cookware is warranted to be free of defects in material and workmanship under normal house hold cooking use from the date of original purchase throughout the original purchaser's lifetime. This limited warranty does not apply to damage caused by accident, misuse, or use not in accordance with the Product care instructions. 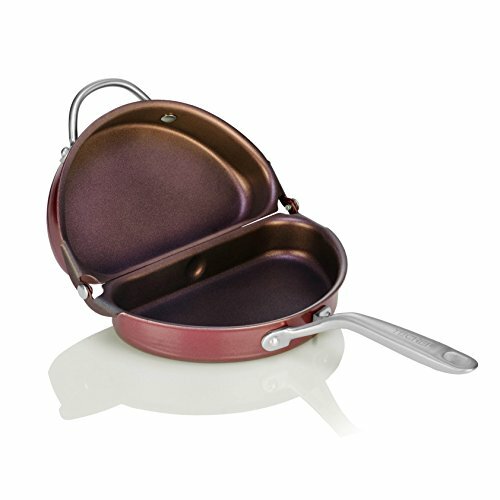 GOOD INNOVATION - A perfect pan for cooking Frittata, the Italian omelet. If you have any questions about this product by TECHEF, contact us by completing and submitting the form below. If you are looking for a specif part number, please include it with your message.